Designed to alleviate the adverse effects of today’s digital lifestyles, SYNC single-vision lenses feature a front surface radial aspheric design with a corresponding backside vertical aspheric lens component that provides +0.88 diopters of relaxing power. Balanced for each eye, SYNC offers optimal binocular vision along with HOYA’s Distortion-Free optics for easier adaption to all viewing ranges. 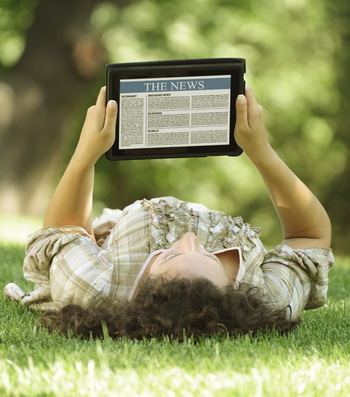 Comfortable vision at all distances to reduce eye fatigue is ideal for digitally oriented children and young adults. SYNC delivers the best binocular vision possible. 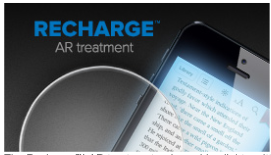 The Recharge™ AR treatment reduces blue light emitted by electronic devices like smartphones, tablets, TVs and even energy efficient light bulbs by 10 percent compared to conventional AR treated lenses. 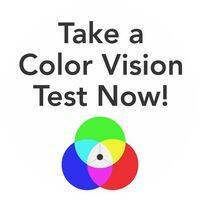 This helps alleviate eye strain, headaches, fatigue, blurred vision and can even improve patients’ sleeping habits. Recharge lenses also provide all the benefits of Super HiVision EX3, including substrate matching technology and the same overall transmittance, while offering the same scratch resistance and hydrophobic performance of View Protect, making Recharge the perfect match to package with modern lens designs like TACT and SYNC. Recharge blocks up to 10% of harmful blue light waves emitted by electronic devices and helps alleviate eyestrain, headaches, fatigue and blurred vision. Recharge can also improve sleeping patterns. If you are looking for progressive lenses, TACT PROGRESSIVE LENSES are designed specifically for prolonged near visual tasks, like working inside an office, to help alleviate eyestrain and even reduce fatigue. TACT lenses maximize your visual range and focus at arm’s length distances, providing a clearer viewing zone up to 5 times larger than conventional eyeglass lenses. And they’re available with our Super HiVision lens treatment to eliminate glare and reflections from office lights and computer screens. TACT lenses are also amazingly smudge-proof, so you can always focus on the task at hand. If you are specifically looking for computer eyewear that will protect your eyes from Computer Vision Syndrome (CVS) or eye fatigue from staring at your computer screen from prolonged period of time — try Essilor Visual Fatigue Lenses. These lenses are best to incorporate in your computer glasses to free yourself from the harmful blue light your computer screen emits. It features “power boost” in the lower area of the computer lenses, this is especially helpful for those suffering from nearsightedness. 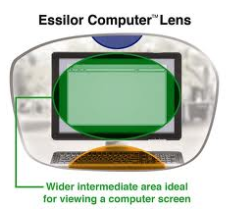 Essilor Computer Lenses also features larger intermediate areas for better performance for those who work on their computer for long extended hours.